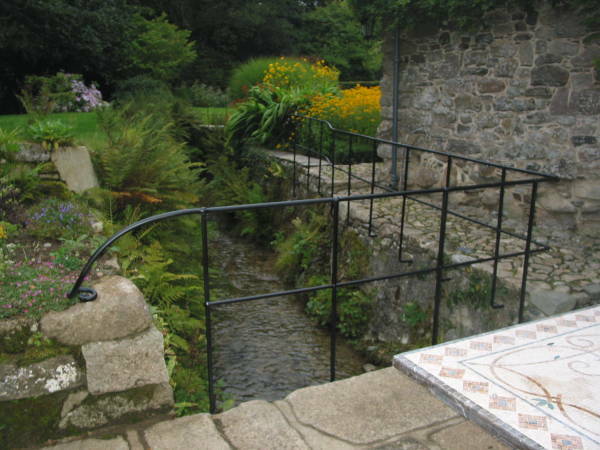 The mill stream running past this Cornish mill cottage below the wheel is quite deep. 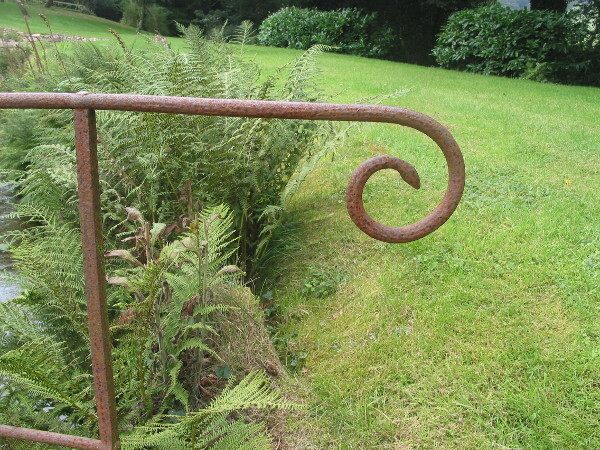 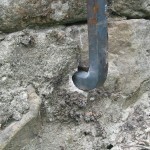 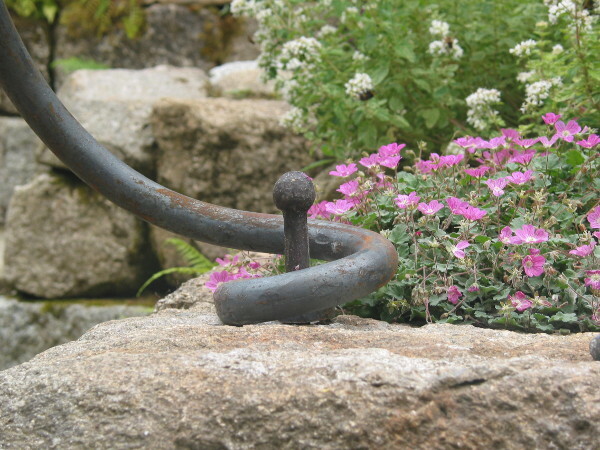 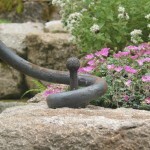 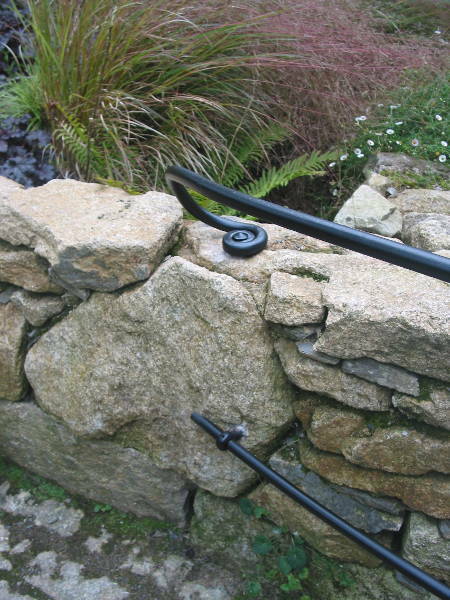 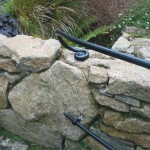 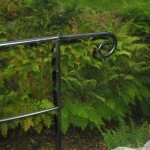 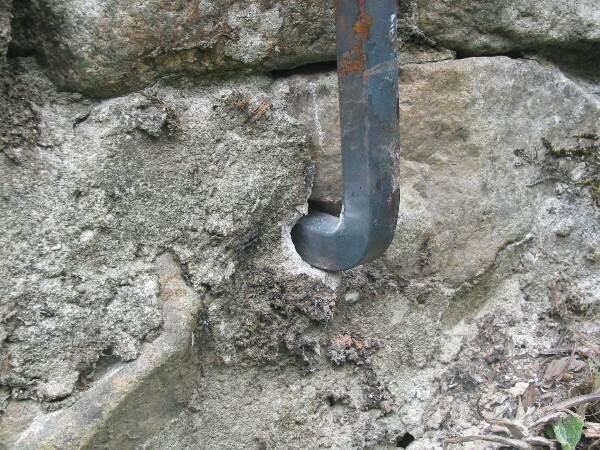 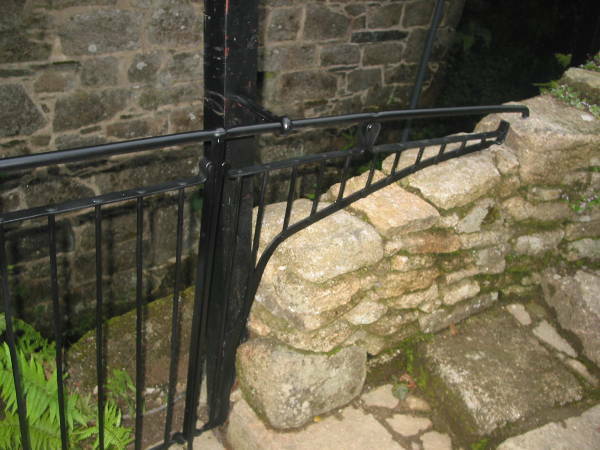 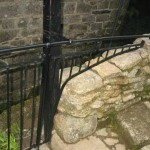 A slender granite bridge fifty yards down from the wheel provided the only bit of guarding on the entire site with this simple forged rail ending in quirky snake like scrolls. 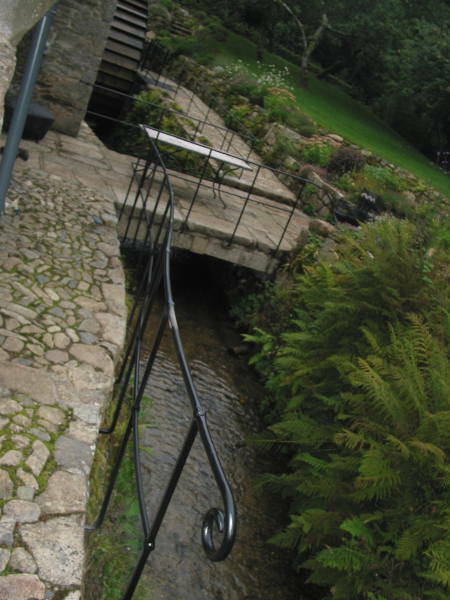 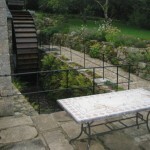 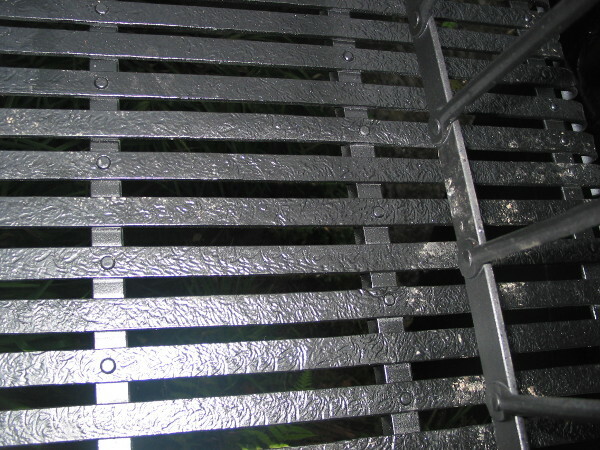 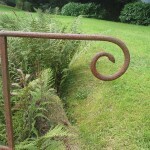 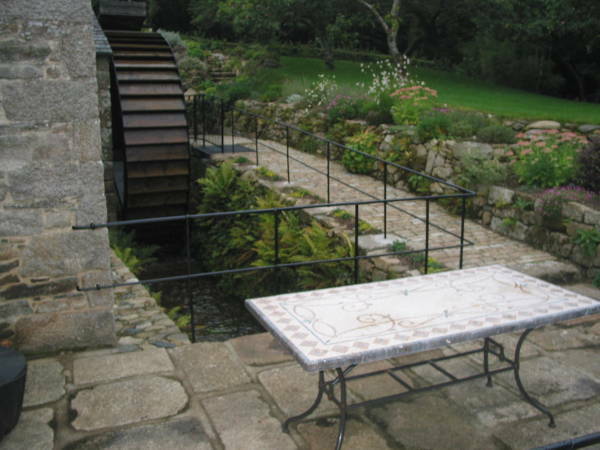 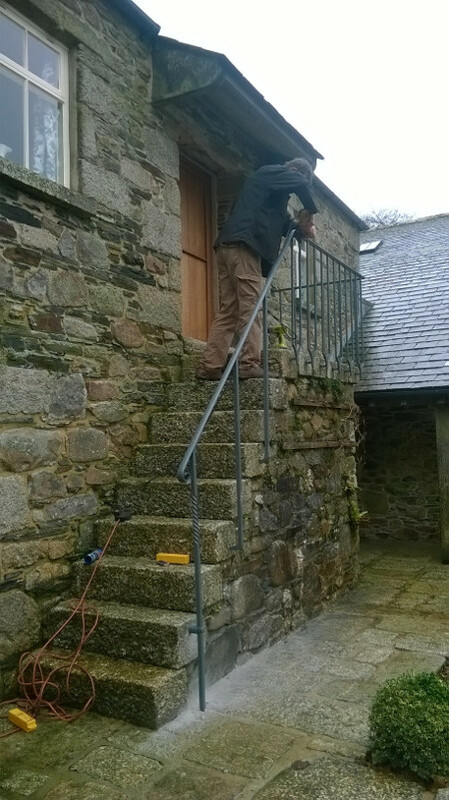 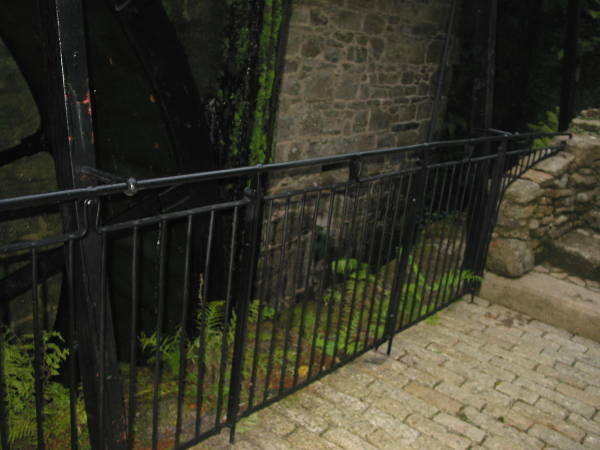 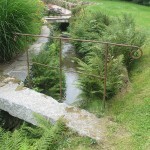 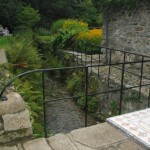 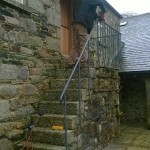 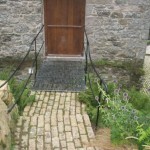 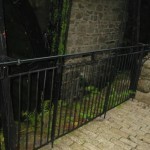 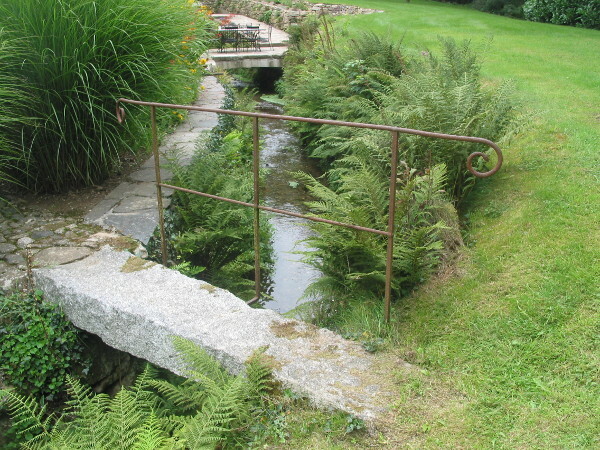 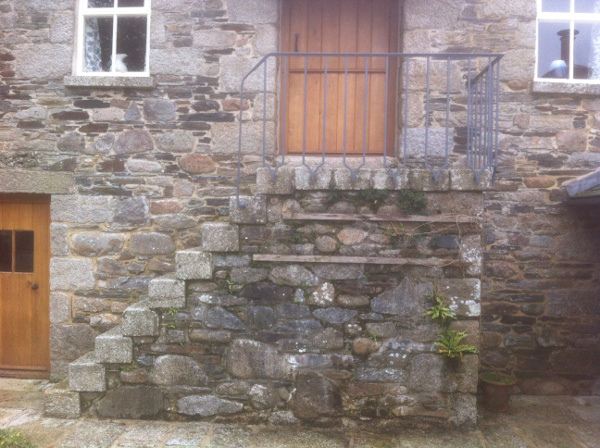 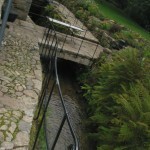 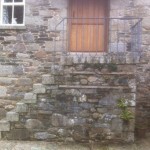 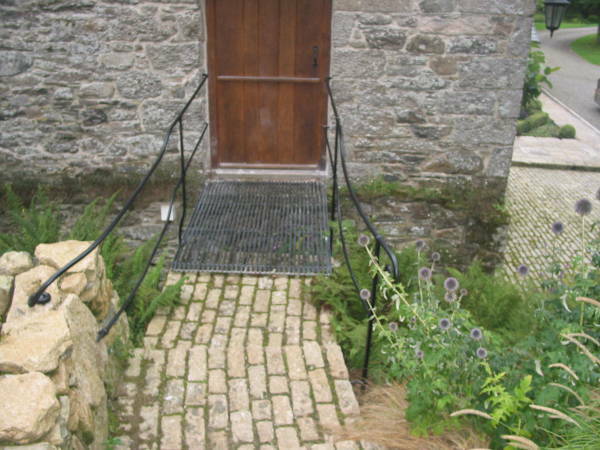 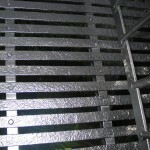 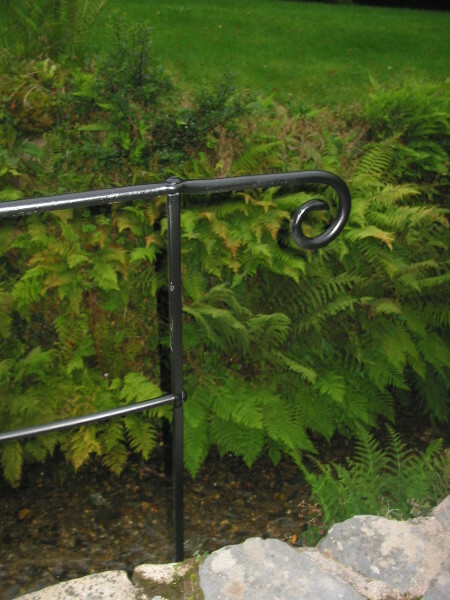 The owners, wishing to be able to rent the property out from time to time, needed to implement a slightly less whimsical reaction to the potential dangers around the millwheel, leat and stream, while at the same time retaining, as much as possible, the feeling of the original garden….